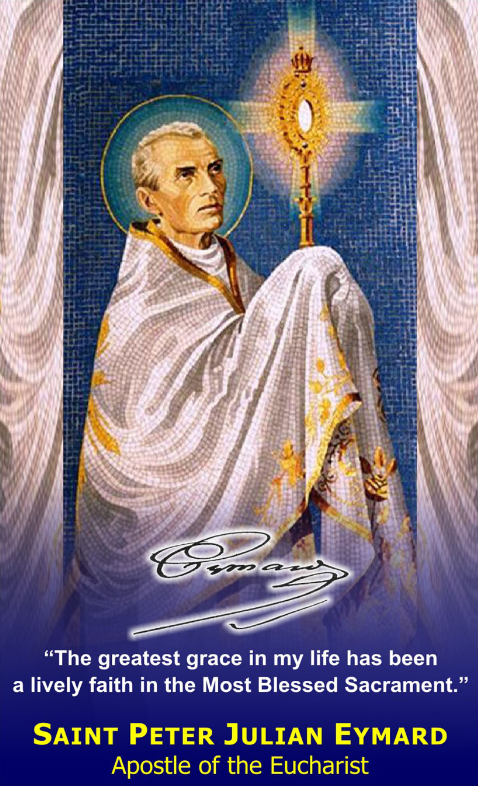 “A life that is purely contemplative can not be fully eucharistic: the fireplace has a flame”. Thus wrote Eymard in 1861. An adorer, he was also an impassioned apostle of the Eucharist and he traced out ways of glorifying this mystery. The basic lines of his activity and teaching can be synthesized in the following way.